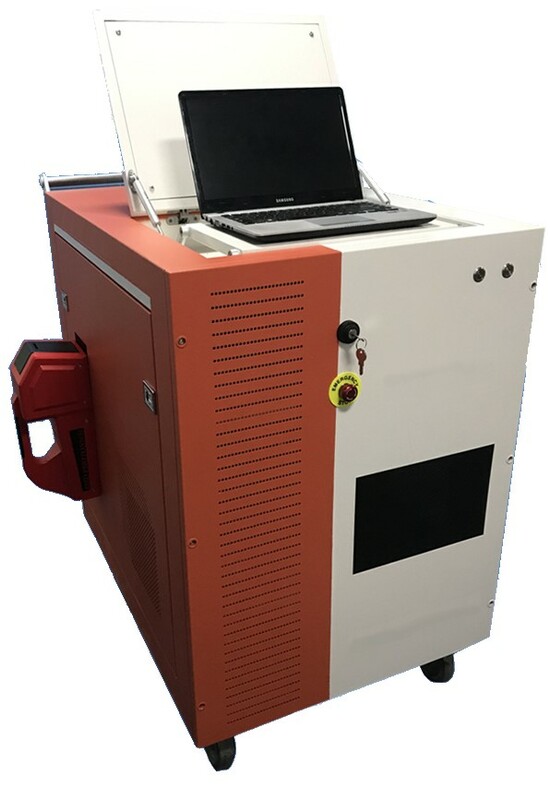 The V-i500C system is a 500W pulsed fiber laser, paired with a robust galvanometer based, ergonomic hand-held, compact scan head. 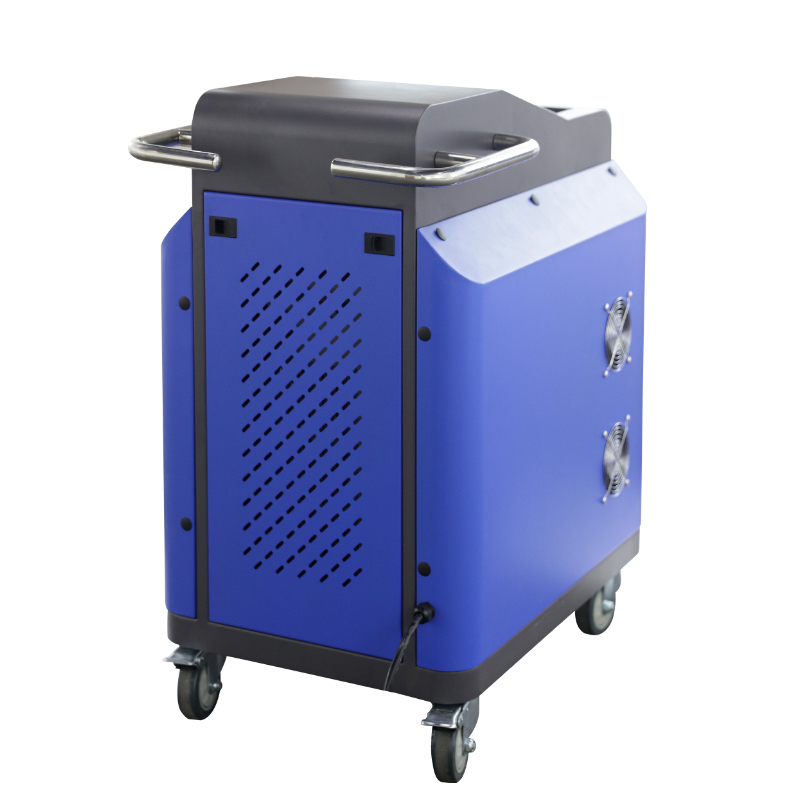 With flexible operational parameters, fiber laser reliability and high pulse energy, V-i500C offer the best value in laser cleaning. 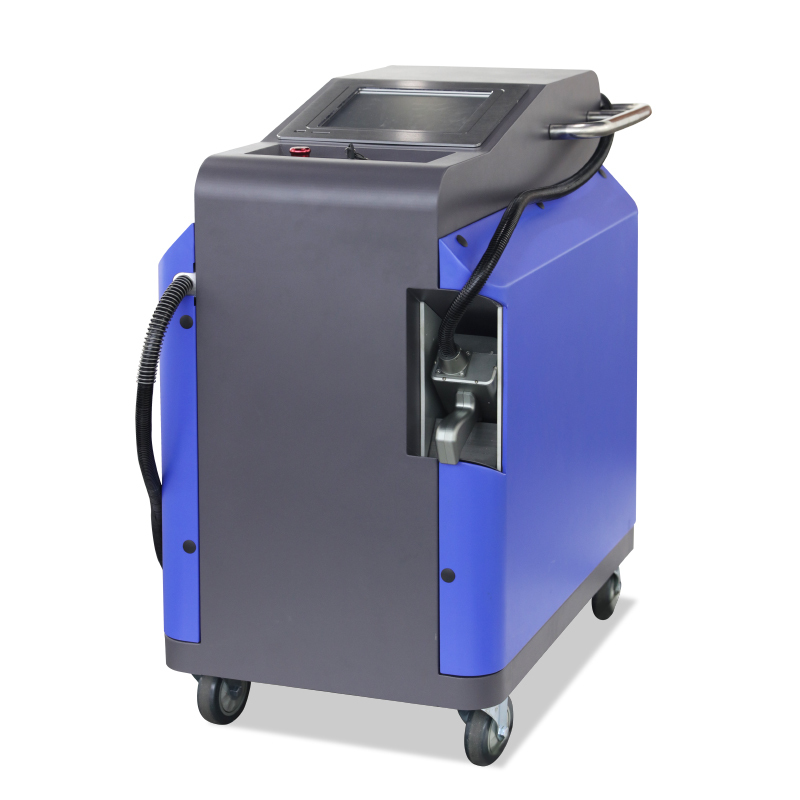 The unique hand-held galvanometer based scan head is an integral part of the package, allowing the user to tilt the output angle of the laser up to 90° to accommodate difficult working geometries. 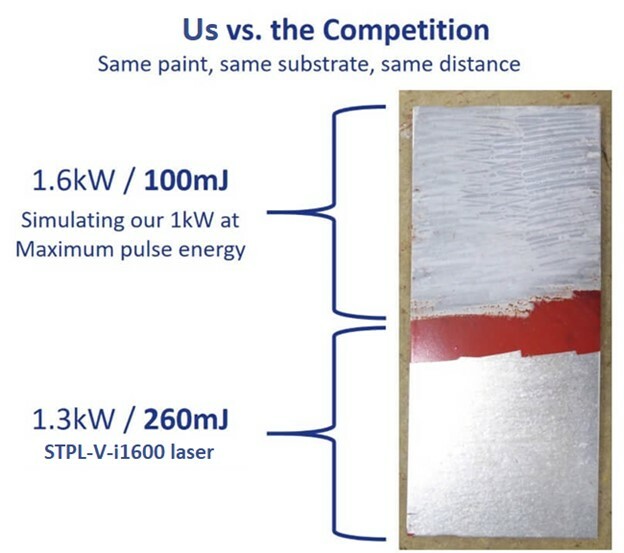 The V-i500C offers state of the universal control systems and simple synchronization that will deliver faster processing and unlock the highest potential of laser based paint and coating removal and surface preparation. 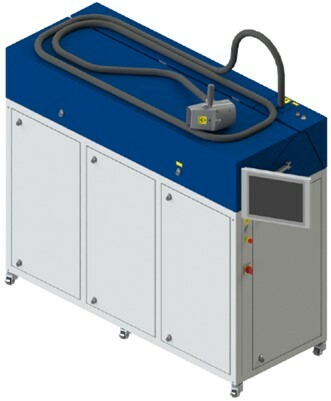 With combination of fully enclosed optical path and optimise laser beam system for cleaning purpose. 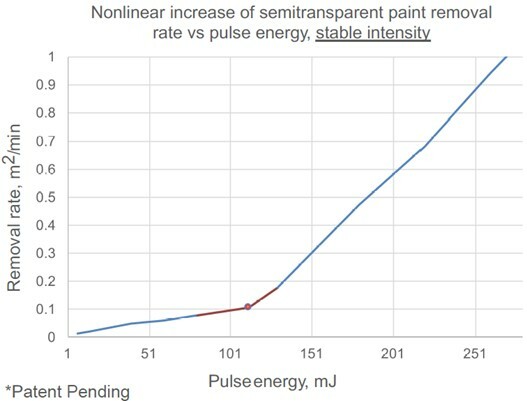 Through high-energy pulse laser collected on the surface of object, with the principles of plasma blasting, high energy pulse excitation and complex photochemical reactions, and by controlling the effective focal length of the laser beam to achieve cleaning process while avoid surfaces damage. 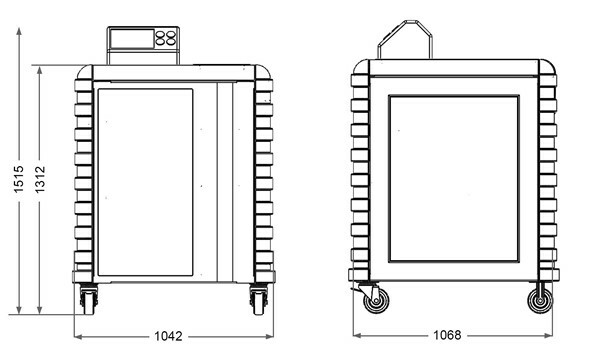 With advanced fiber coupled technology and excellent photoelectric converting efficiency. 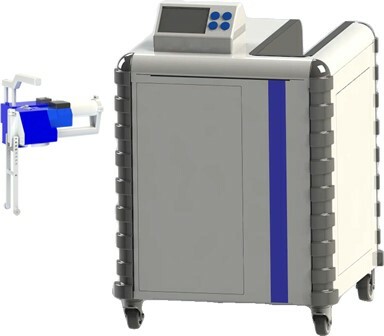 STDZD able to output high pulsed energy laser to vaporise the impurities or contaminants and leaving very small amount of waste materials behind. Nothing contact to the cleaning object throughout whole cleaning process which mean non-abrasive also.